New Orleans is one of my favorite cities in the country. However, I’ve been here before. Numerous times. And so I’ve found it hard to care as much as I used to. 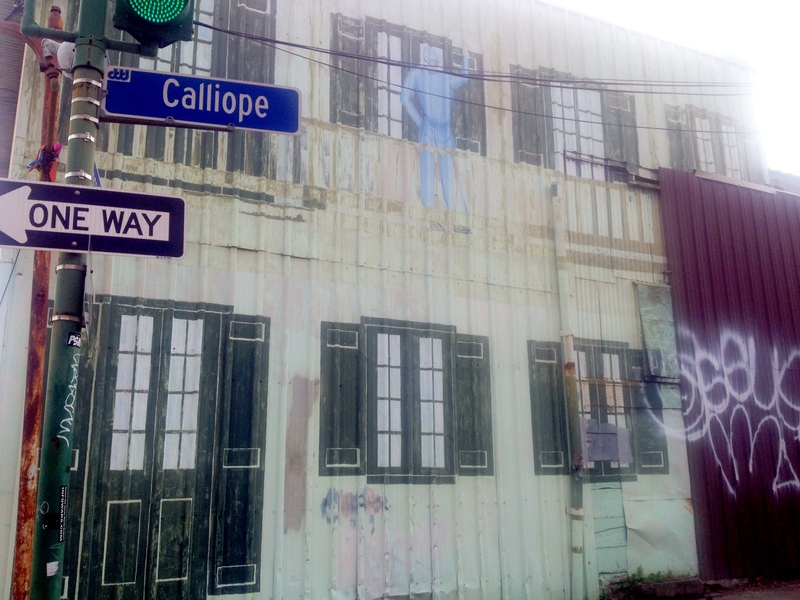 When I arrived in New Orleans for work two days ago, a dull happiness beat in my heart. But then that happiness was quickly covered by a grayness. For me, this grayness is common…it occurs when I find it hard to feel. I remember the first time I ever came to New Orleans- about two years ago. I was so excited. 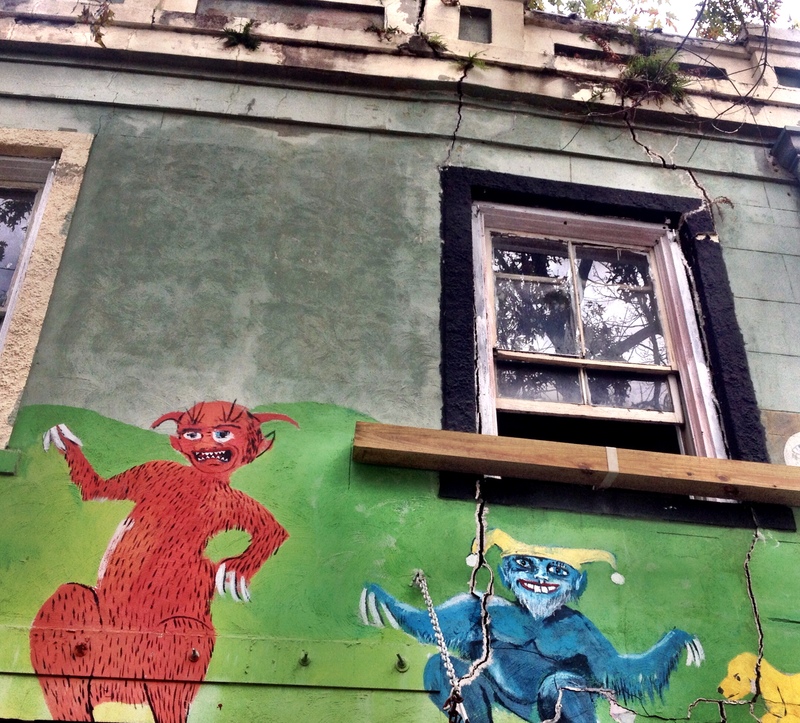 I took a Mardi Gras Tour, a Walking Tour and a Ghost Tour. I wanted to do it all- even though I was working. I ran along the Mississippi River before work. I ate beignets for dessert. I took pictures of balconies at dusk. I daydreamed about Tennessee Williams plays and listened to jazz. Voodoo stirred my soul. Everything was so unique. This time, because of all the other times I’d been here before, my mind duly noted that New Orleans was one of my favorite cities. My eyes glossed around town. I’d seen it. I felt anxious. I felt nothing much. 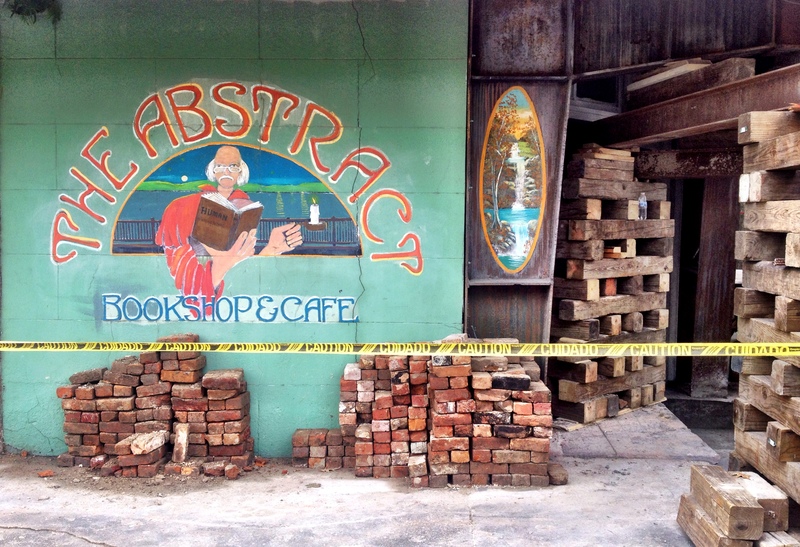 New Orleans had become a label. I wouldn’t even have registered this, except that the other day a guided meditation I was listening to talked about how labeling things had become the norm for almost everyone. At first I thought ‘absolutely not me!’ and then I realized labeling is actually my unconscious’ favorite thing to do. Labeling orders my world and keeps everything recognizable, safe and easy. Does this sound familiar to you? You put things and people into a box and label it with an opinion, and then you just look at the label to know what’s inside. It’s hard to really see things again after that. I know academically that even when you see the same thing 100 different times, it’s never the same. But it’s so hard to actually grasp the meaning of that in real life. So hard. So yesterday I decided to fight the labels. I was going to look again. I was going to see New Orleans uniquely once more. I was going to move past the grayness and feel something new while seeing something old. 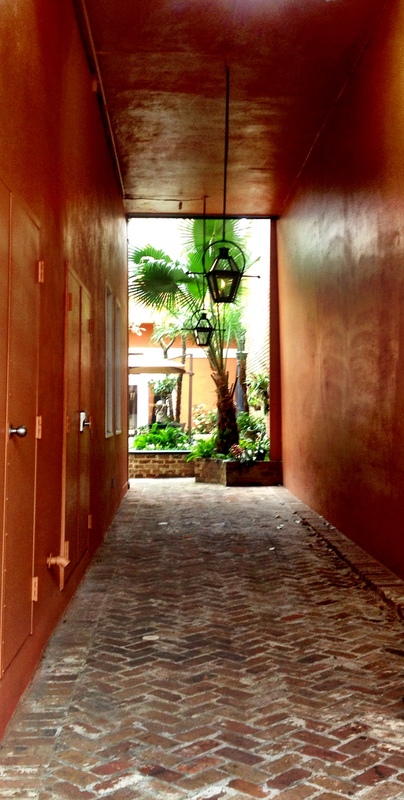 So I stared down the alleyways..the ones I used to thrill at seeing in NOLA, but now passed by. They led to their usual gorgeous open courtyards. And again I saw the funny gates that led to nowhere. A gate guarding a brick wall. And I once again saw a city maybe falling apart. And a city with bizarre examples of its slow ruin scattered everywhere. Stuff started to pop out at me that I hadn’t exactly seen before. And the grayness lifted for a second as I became curious. So I just kept on looking. I realized it was the first time I’d been here in November. And I saw leftover Halloween decorations. And places that had never needed Halloween decorations. And places that had funny signs. And places that were just paint. 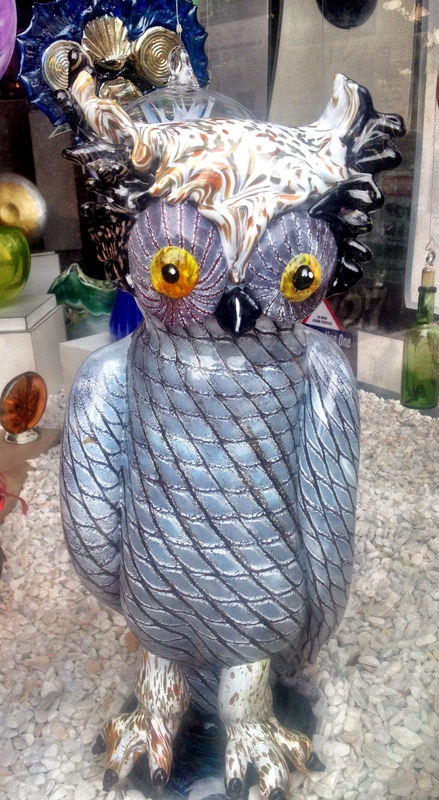 And I followed the sound of some church bells and stumbled onto a glass blowing school by accident. 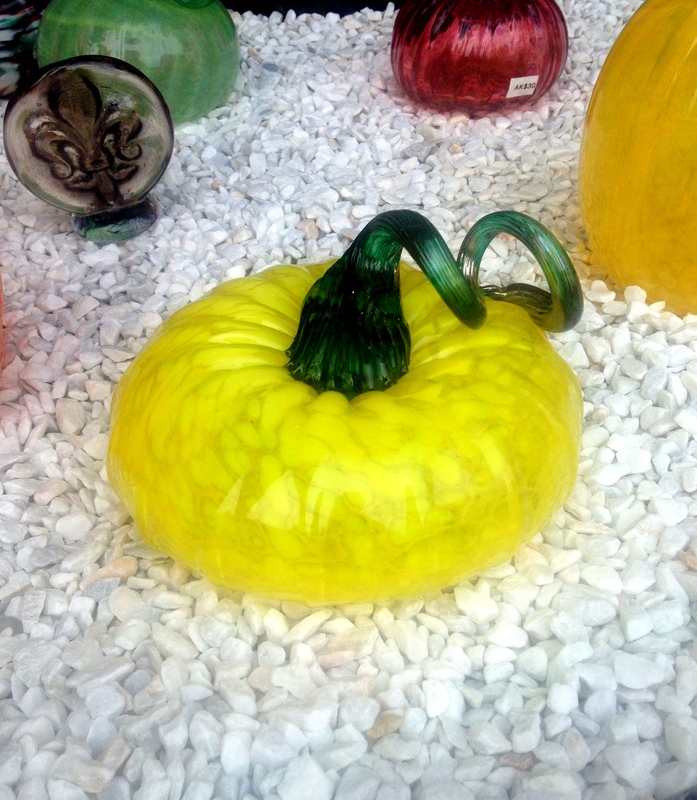 So I went inside and sat and watched glowing hot glass become birds and pumpkins…glass shaping itself from nothing to something right in front of me. 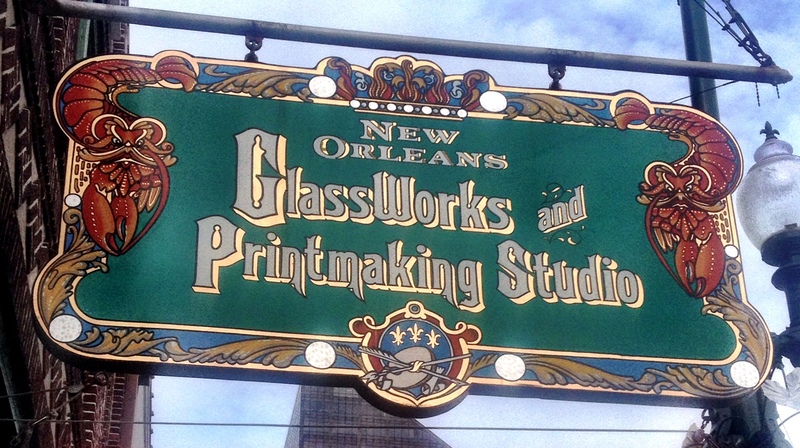 I hadn’t seen glass blowing live since I’d been to Venice many years ago…and I’d always found it to be an unbelievably neat process. It still fascinates me. And for a moment I felt happy. And as I sat and watched liquids become solids I had to admit to myself that my New Orleans labels weren’t gone- they weren’t that easy to remove. But yesterday, through sheer will, I had set them aside for a second, and for a moment the grayness had lightened. 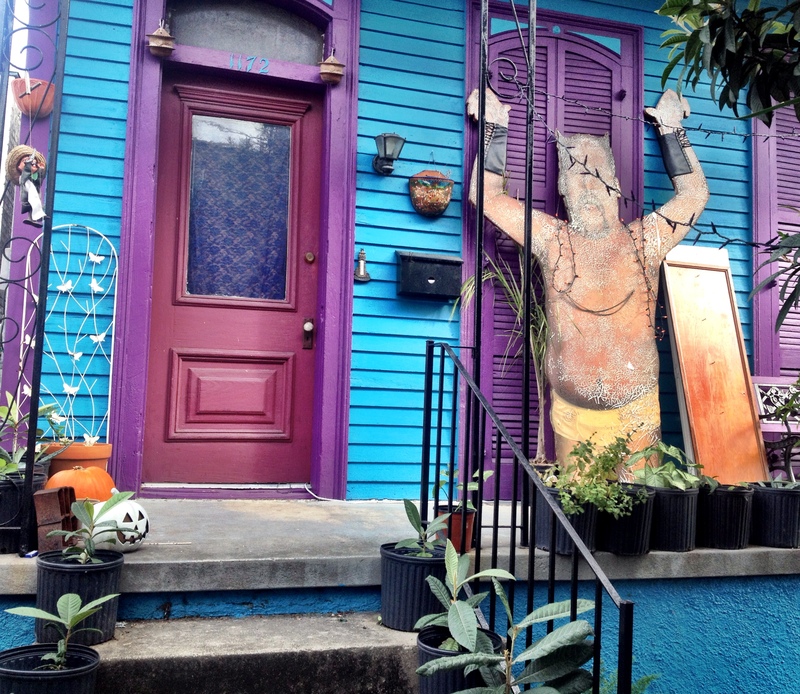 Ultimately, I couldn’t summon up the same amazing feelings as the first few times I’d been to New Orleans. I didn’t suddenly jump for joy. I didn’t burst into tears. I didn’t have a sudden revelation. But it was okay. I felt…a much more subtle movement inside. Something raw. Something clear. Something new.